It's no wonder London style is coveted all over the world - their laid-back looks and early-adopter, street-style looks are worth envying. If you thought adding a London vibe to your look would be hard, think again: we've listed the top 4 tips you need to get the understated London look seen on everyone from Bella Hadid to Kate Moss. Whether you're planning a trip to this fashion capital and want to know what to wear in London, or just want to bring some London outfits to your own city looks - here's what you need to know to dress like a true Londoner. Arguably London's most famous export - Loved by Bella Hadid and Cara Delevigne, Punk is as much a part of British fashion history as Britpop and 90s Grunge. 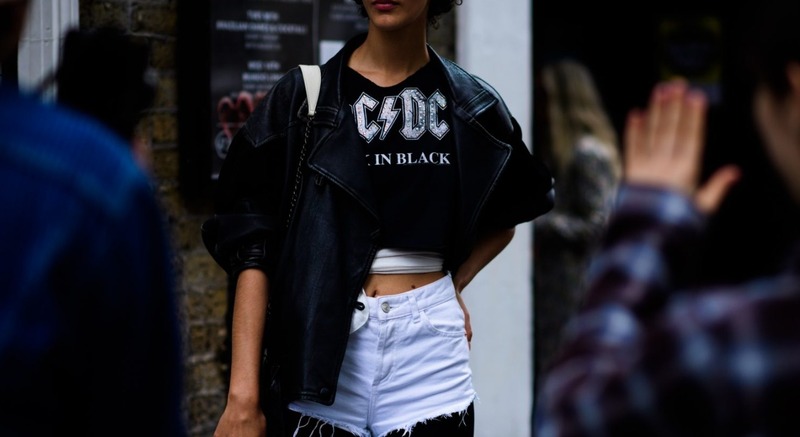 Punk style is always trending in London in some form. Forget bright red mohawks and platform sandals and think fishnet tights, vinyl trench coats and distressed jeans for a more feminine (and work-friendly) nod to the look. London Fashion Week is well known as the more experimental, rebellious little sibling to New York and Paris Fashion Week, and the capital's street style is no different. 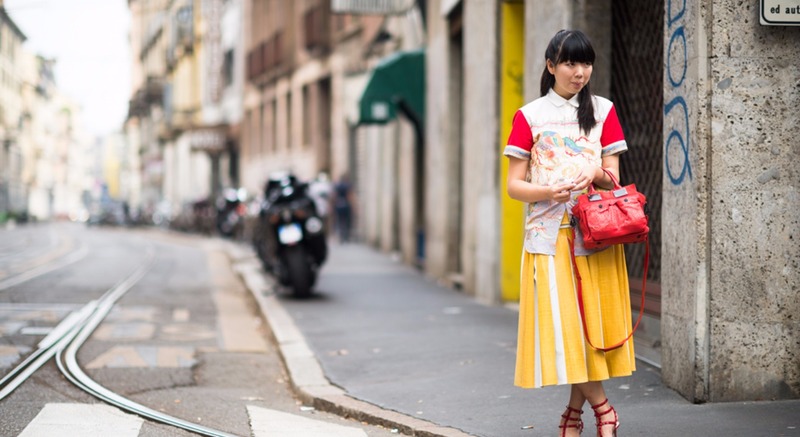 London girls aren't afraid to wear clashing colors, bright prints and statement pieces. Take a leaf out of Susie Bubble's book and wear a clashing block-color dress to make an impact, or try a low-key version of the look by dressing head-to-toe in one shade. 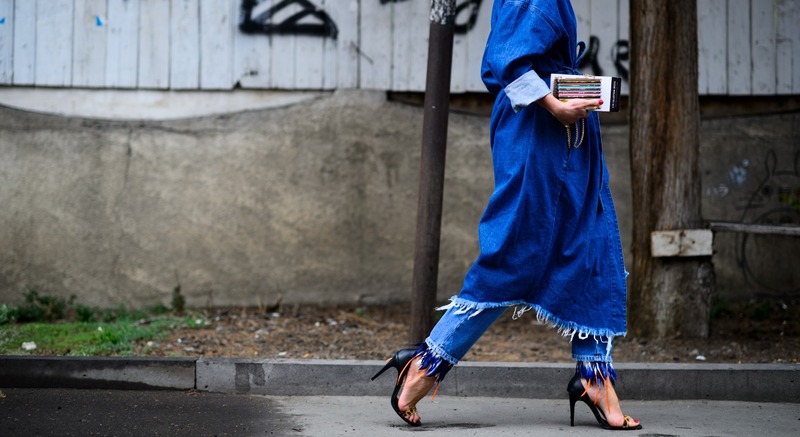 Let's face it - it just wouldn't be London without seeing denim absolutely everywhere. Denim lovers include Gigi Hadid and London's own Alexa Chung (who's been known to embrace the double-denim look on more than one occasion). Channel this Londoner's love of all things denim by upping your jeans game, layering different washes and plucking up the courage to wear the Canadian Tuxedo. Not just for 90s rockers, the grunge trend is very much part of London's beating heart. Just take a look around Shoreditch mid-week lunchtime: instead of pencil skirts and shirts, you'll see creatives dressed in T-shirts, jeans and low-top sneakers. Dressing down is definitely a London girl's favorite way of dressing up.